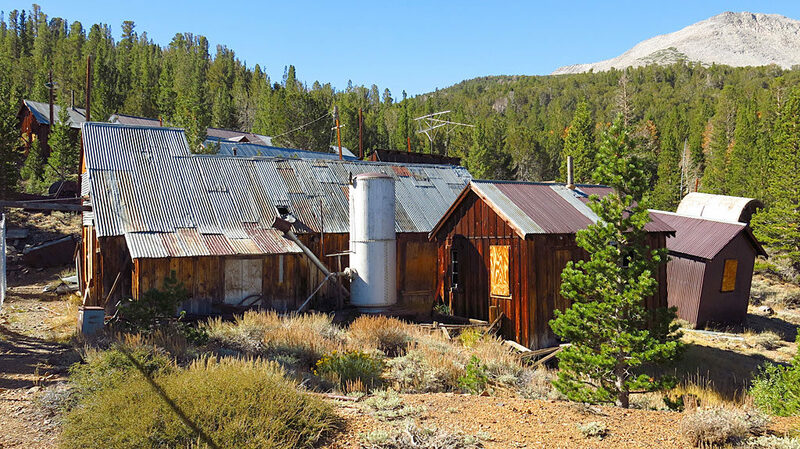 The Log Cabin Mine is located at 9,600‘ in the Eastern Sierra Nevadas above the town of Lee Vining. 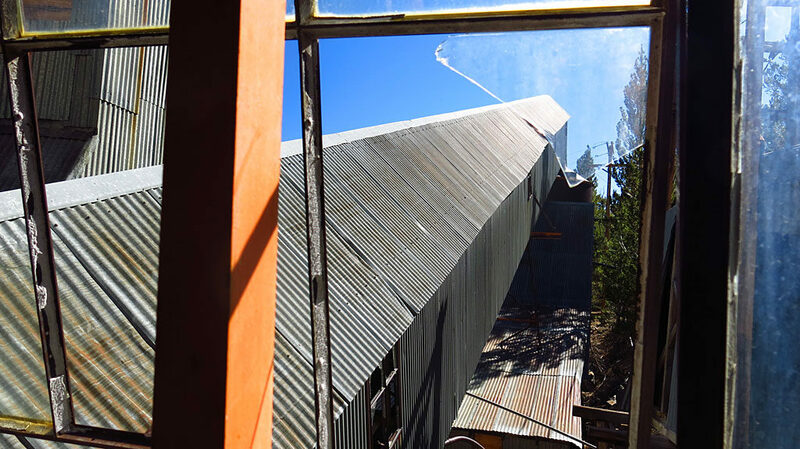 The state-of-the-art mine was opened in 1910 and could extract and process the gold from the quartz ore, making it one of the highest-producing mines in California. 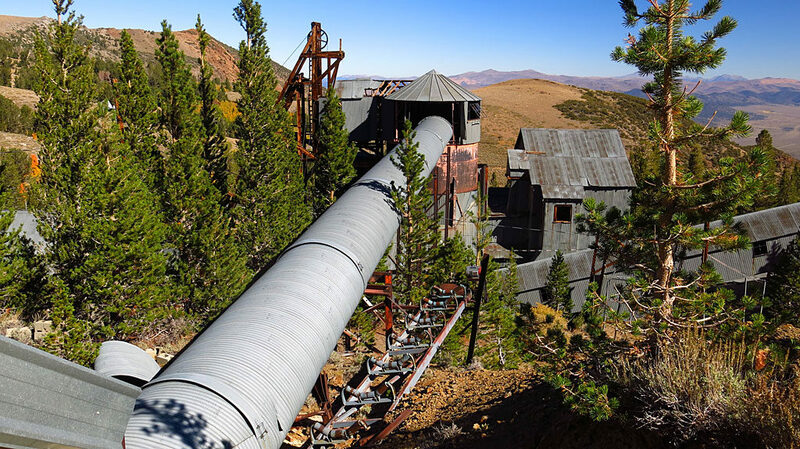 The mine operated for around 30 years but was closed due to the War Production Board order L-208, shutting down all nonessential gold mines in the United States. 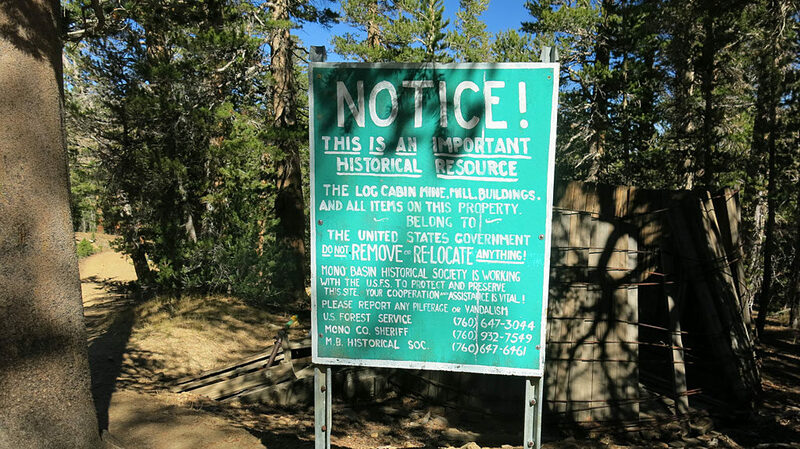 An attempt was made to reopen the mine in the 1950s but was not successful. 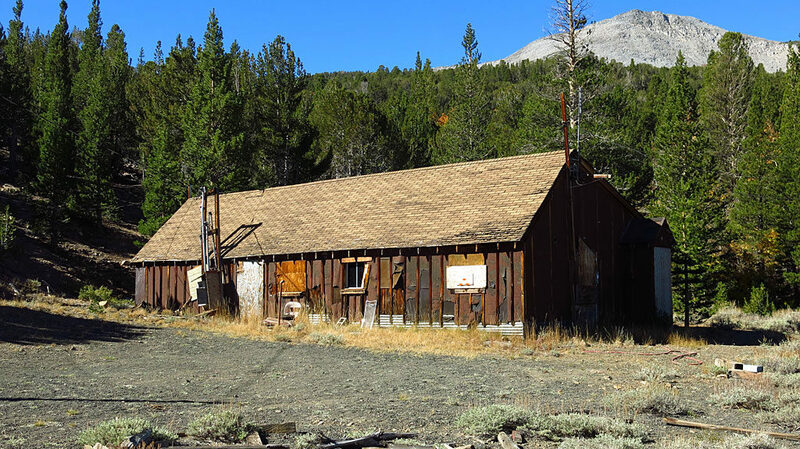 In 1971, the mine was turned over to the government and is currently preserved as a historical site. Today, the mine is flooded around 200 feet below the surface. Buildings at the Log Cabin Mine are amazingly preserved — glass in windows, with lighting fixtures, equipment, and machinery. This large building was the mess hall, perched below Mt. Warren. Looking across to the headframe and mill — both in surprisingly good shape. The hoist house and assay shack are adjacent to the headframe, with most of their equipment intact. 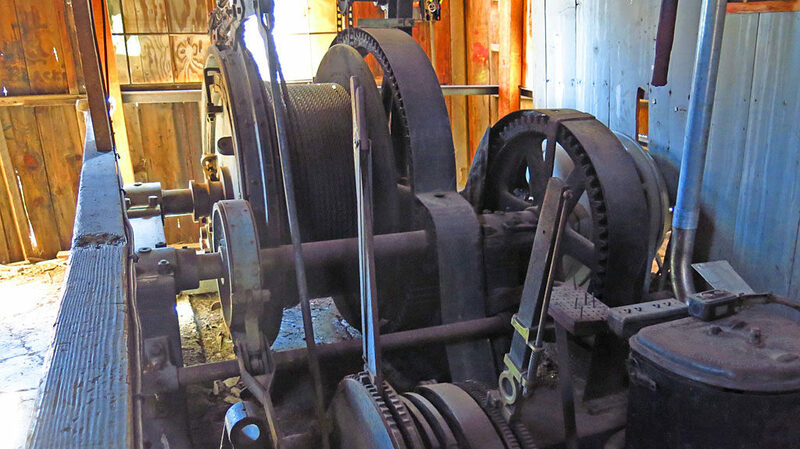 Inside the hoist building is a large single-drum hoist — the motor, the electrical equipment and controls, even the operator’s chair, are all still there. An attractive nuisance if I’ve ever seen one. 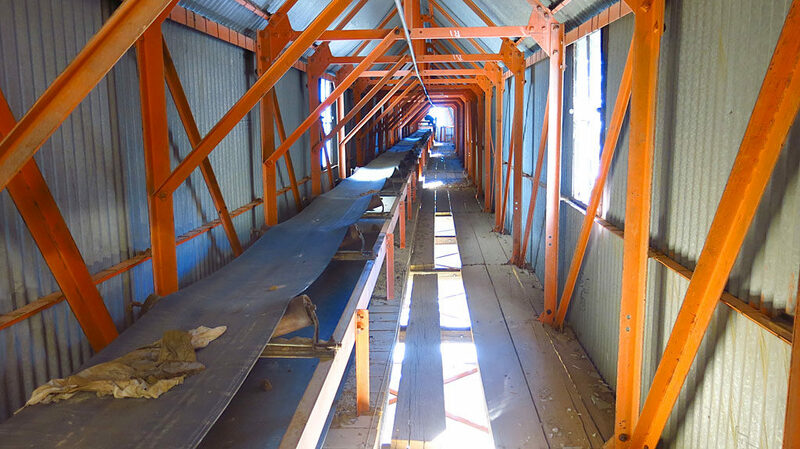 Looking up, inside the covered conveyor belt. 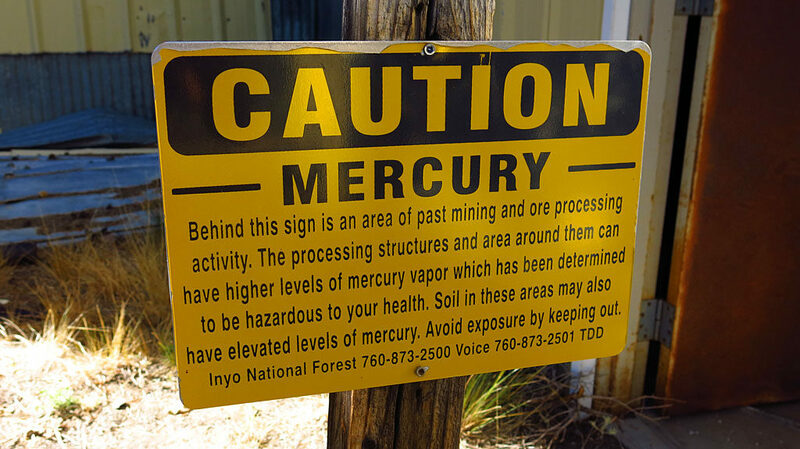 A sign of caution when approaching the Log Cabin Mine. 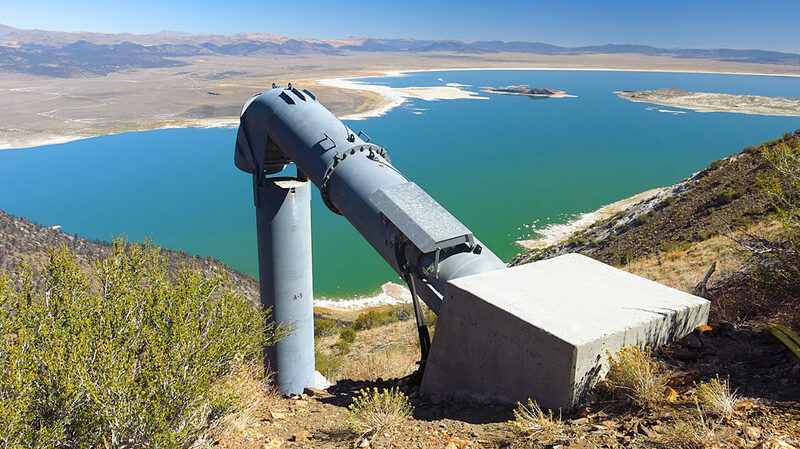 Leaving the mine, we crossed Warren Bench which gave us a spectacular view of Mono Lake to the east. 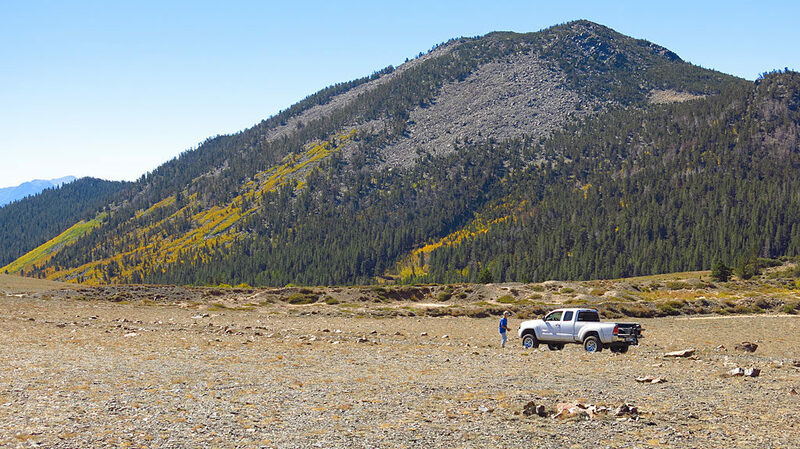 That’s Mono Dome (10,469′) behind the truck. 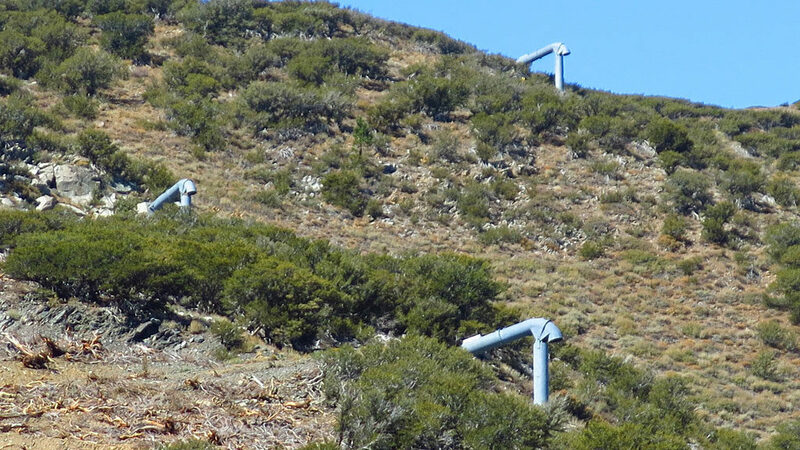 Leaving the mine, we bumped into Caltrans’ “Lee Vining Avalanche Control System” (.pdf) with a pretty amazing view of Mono Lake.